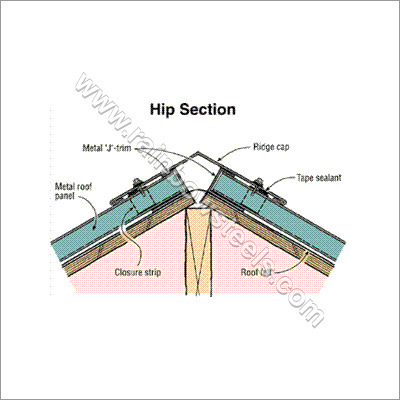 Herein, we provide support for ridge caps under roofing solutions. The flashing type includes various parts / sections such as tape sealant, metal 'J' trim, metal roof panel and closure strip. It is constructed in a corrosion free manner and is light weight, which ensures its simple installation and maintenance.